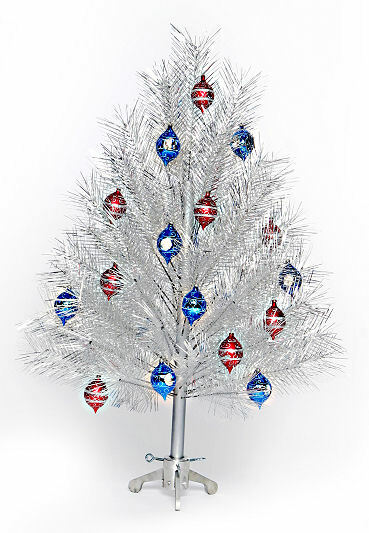 Aluminum Christmas Trees: 4ft Classic. Aluminum Christmas Trees. We have the largest selection to choose from. Trees & Color Wheels cannot be returned after Christmas for refunds or credit. After Christmas trees may only be returned for defective warranty replacements and replacement parts, on the rare occasion a part should go bad.